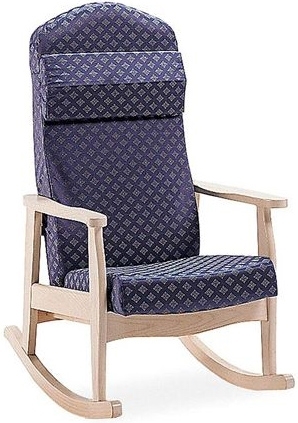 The York high-back medical rocking chair by Global is comfortable, supportive and attractive. It is constructed for durability and strength for use in medical facilities, assisted living and home. Joints and seams are made to withstand hard use, and the arms allow people to easily and safely get in and out of the chair. Free shipping and warranty on all medical furniture.